Warm weather’s here—it’s time to throw open the windows and let the fresh air in. But what about at night? How can you keep the air flowing while protecting your home from the view of people on the street? This might not be an issue if you’re out in the country, but it’s a big concern for those of us who live closer together. Here are four easy ways to cover your windows while letting the cool air in. Plastic blinds slamming against the window in the wind doesn’t make for a relaxing evening. 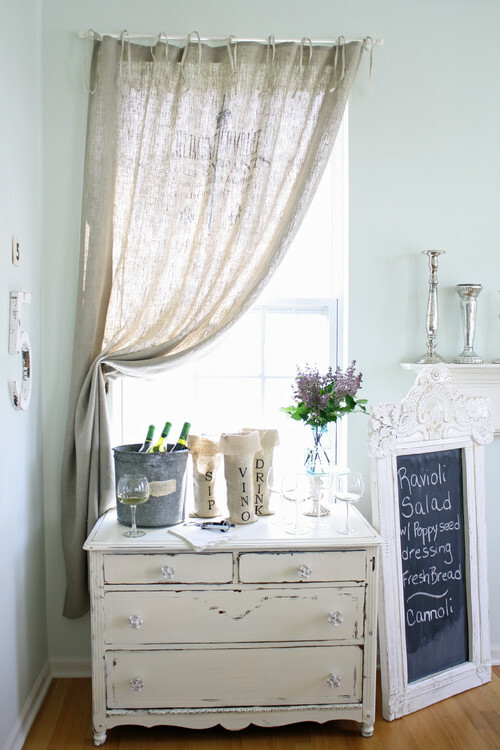 Toss the blinds and go with sheets of burlap instead. Burlap has a loose weave that lets air through, but it also has enough weight that it won’t billow out of control. If you need anchors, just tie metal trinkets to the lower corners. No, not the sheet you hung over your window in college. 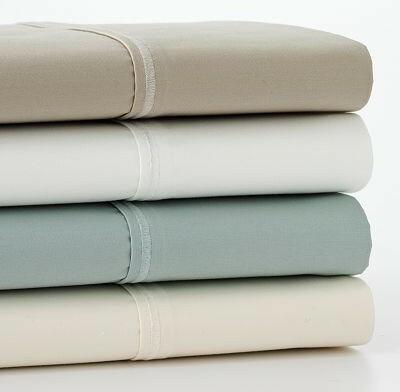 Order a high-end silk screened sheet online and sew (or have a tailor sew) a hem and a sleeve at the top for hanging. You can also sew a length of airplane wire into the bottom hem for weight. If you have an extra-wide window, a decorative “outside the tub” shower curtain might be the perfect fit. You can find beautiful curtains in all sorts of materials, from thin cotton to crochet to breezy synthetic fabrics. There’s also no end to the range of patterns and colors, from translucent white to electric tropical prints. And the best part is, they all come ready to hang. Punch grommets into the top of the fabric and string it on a rod. Sew (or have a tailor sew) a sleeve at the top and pass wire, rope or a rod through it. 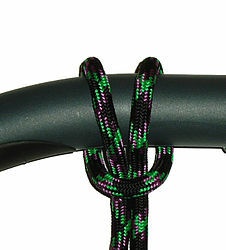 Only secure the corners, and use two loops of rope or ribbon with slipknots to raise the dressing. Use an unconventional curtain rod, like a piece of driftwood. 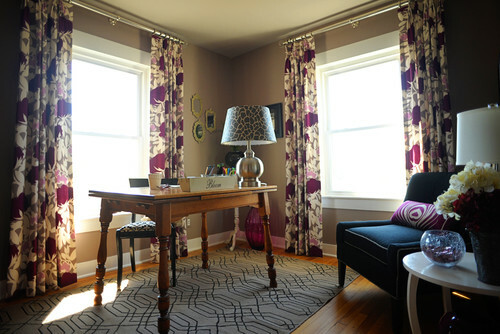 Once you have your new curtains in place, go ahead and throw open the windows all summer. Enjoy! 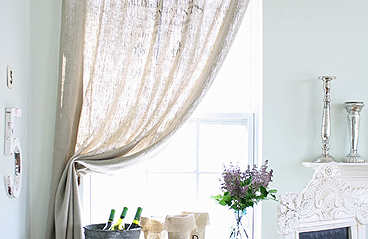 What DIY window dressing tips do you have? Visit our Facebook page and let us know!